Getting out of Portland for a few days can be a worthwhile endeavor. The endless number of things going on constantly in the city creates a sort of numbness. A week in the rural, ag-heavy California gives you an entirely different perspective. 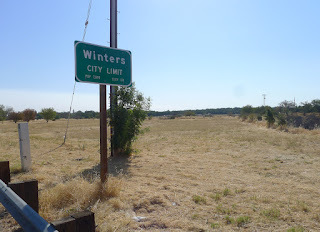 I've been to Winters several times and written about it here. My take on the town and the area changes slightly with each visit. 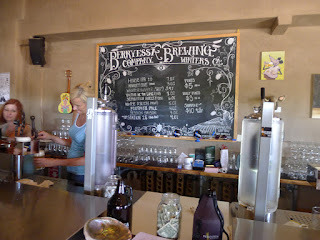 That includes the brewery here, Berryessa Brewing, which has changed considerably since my first visit in 2013. Let's start with the area. There's a ton of agriculture here. They grow nuts, fruit, rice, olives, and there's a fair amount of ranching, too. Like much of California, the area has suffered though severe drought conditions in recent years. It's far from a desert, but that's where the area is headed if the rains don't return. There were large wildfires this summer and last. It's dry and water is an issue. With surface water in short supply, many farmers are using well water to stay afloat. A 2014 study found that groundwater levels have declined dramatically throughout the state since 2008. The area around Winters is no exception. Everyone seems to realize the wells aren't forever. Once you pump the wells dry and other water sources mostly vanish, then what? It's a question that hasn't been seriously addressed anywhere in the arid west, perhaps because the only answers are tough ones. I digress. In fact, Winters has worked hard to become a destination community. The city wants to stay small while reaping the economic benefits provided by visitors. It's a viable strategy. The historic downtown area is charming, with artisan shops. That's in stark contrast to the rat race in nearby Vacaville, which is saturated with big box businesses. Including an In-N-Out Burger. Berryessa Brewing fits nicely into Winters' plan. Craft breweries have a way of attracting people. The place opened in 2011 and has seen steady growth. 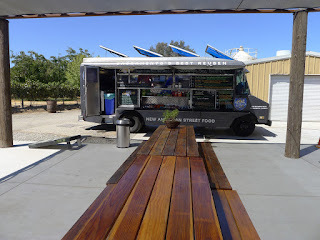 When I first visited two years ago, I found a quaint tasting room with a few outside tables. Since then, they've expanded the seating area considerably and added food cart fare to address the need for on-site food. 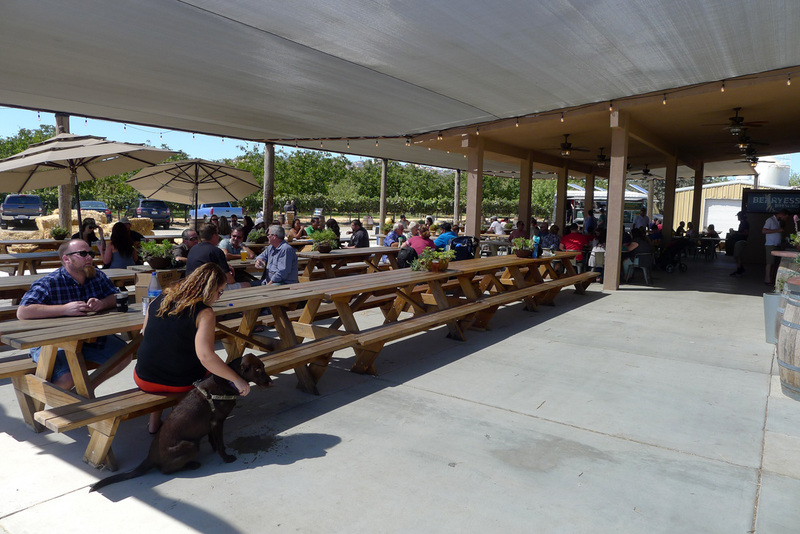 It's a little hard to fathom, but Berryessa's tasting room is only open Friday-Sunday. That likely ties in with the theme of Winters as a destination. There are far more people cruising around looking for things to do or drink on weekends than during the week. The folks at Berryessa are maximizing their take per open hour based on traffic. Their success wouldn't be possible if not for the beers, which are solid. Co-founder and brewmaster Chris Miller has built a nice following for his beers. He's known for hoppy beers, but he isn't strictly a hophead. He actually brews a wide variety of stuff. A lot of patrons wonder why Berryessa doesn't expand production and reach for a wider audience. It's a fair question given the extent to which this area is underserved. But overly rapid growth can bring problems. Miller and his wife, Lori, have taken a gradualist approach, preferring moderate and controlled growth to something that might spin out of control and damage what they've built. Chris recently discussed the pitfalls of fast growth with the Sacramento Bee. He apparently obsesses over the quality of his beer, probably the most common concern among brewers. Miller worries that distributing it too widely in retail packaging is a risky proposition because you don't know how the beer will be handled. A valid concern. 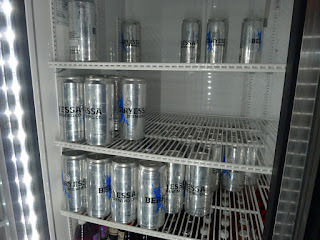 Nonetheless, Berryessa is moving forward with an effort to distribute a few of its beers in 16 oz cans and 22 oz bottles. I found no evidence of that in any of the stores here, but they were selling pre-filled 32 oz crowlers of several styles in the taproom. These things were being gobbled up by patrons and the idea makes good sense to me. I'll be interested to see what's changed on my next trip to Winters. They just demolished part of a city block to make way for a new hotel. That's going to help make the area more attractive as a destination because the lack of lodging has been an issue. 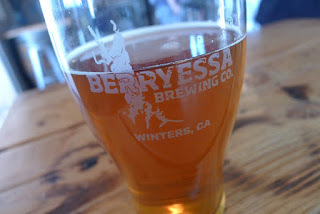 As for Berryessa, I have a feeling the brewery will be a big part of transition that's happening here.